During the winter, the average temperature of the area gets as low as 150C and the humidity is relatively high. In December early morning, the sky seems to turn into gray because of heavy fog. Vaporous foggy sky and cold temperature make the landscape much more romantic. Limestone cliffs and the ships are looming in the distance make image like “the endless dream” in the mind of foreign tourists. 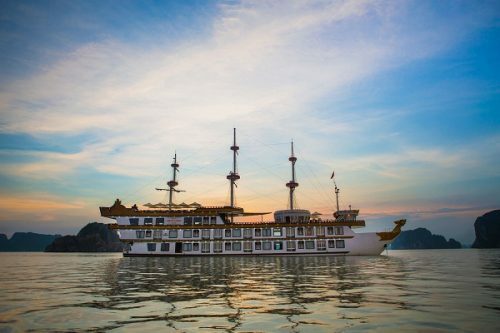 Though it is warm sunny day or wet foggy day, Halong Bay still owns special beauty and is the ideal destination for those who want to escape from the hustle and bustle of life and find the inner peace. 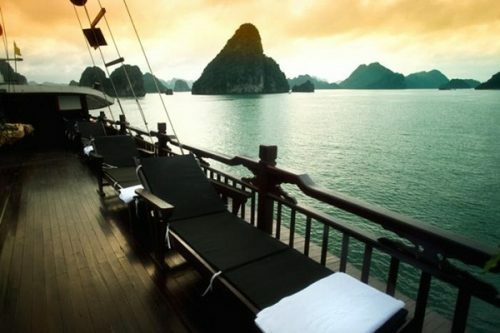 That would be an experience you should not miss when visiting Halong Bay in winter season. The sky is not gloomy whole day and you still can do lots of exciting activities, one of them is kayaking. Kayaking is a kind of paddling which moves across water by using a kayak. You could play alone for sightseeing or in a big group for more fun. 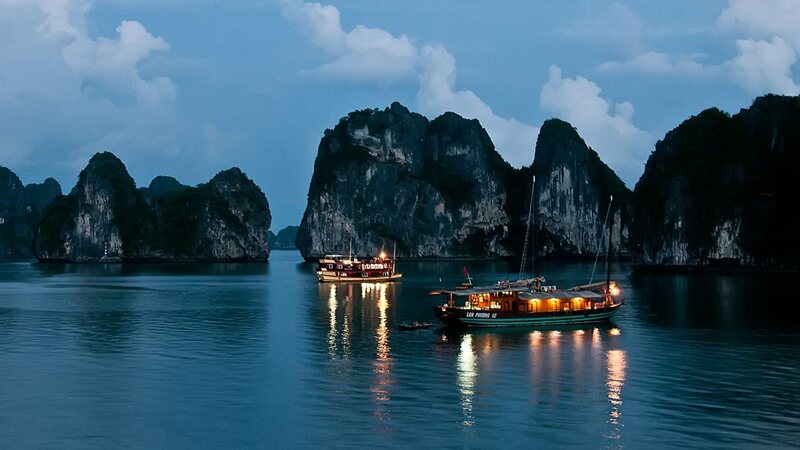 With thousands islands and isles, calm tides, clean, and emerald green water, Halong Bay is ideal for this activity. Currently, many Halong Bay cruises offer kayaking service to tourists. 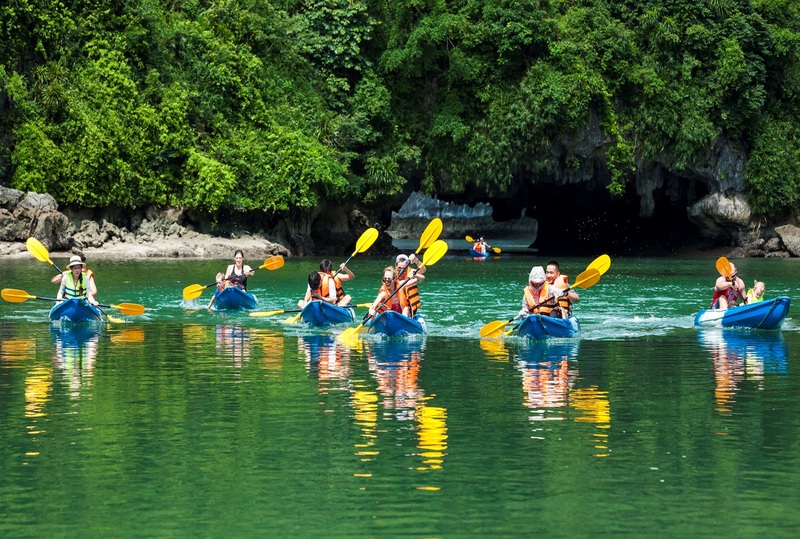 Kayaking will make your Halong day trip more interesting and memorable. Especially, paddling around the limestone karsts caves allows you to enjoy the most colorful limestone towers from different angle: up close, at sea level and without the constant thrum of an engine in the background. For more experienced kayakers, there are also kayak-only trips. The weather seem to can not limit interesting activities in Halong. Another excited experience you could do in Halong bay is discovering limestone kart caves. 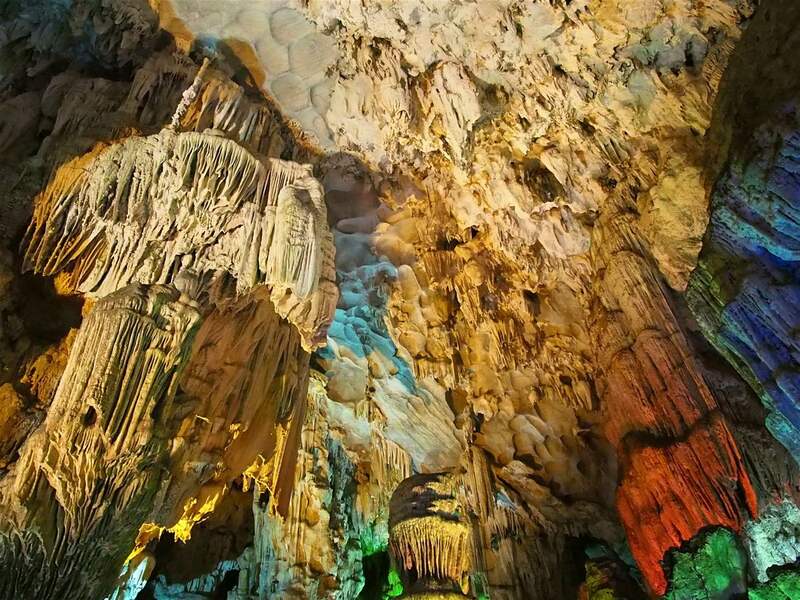 There are colorful caves and grottoes, with stalactites and stalagmites. Its limestone pillars are an unique natural feature of great scenic beauty and biological interest. The great extent and the richness of its forms sets it apart from other sites. Take a cruise trip on Halong bay, limestone karts cave is really worth to see. That is really a miracle of the Creator. 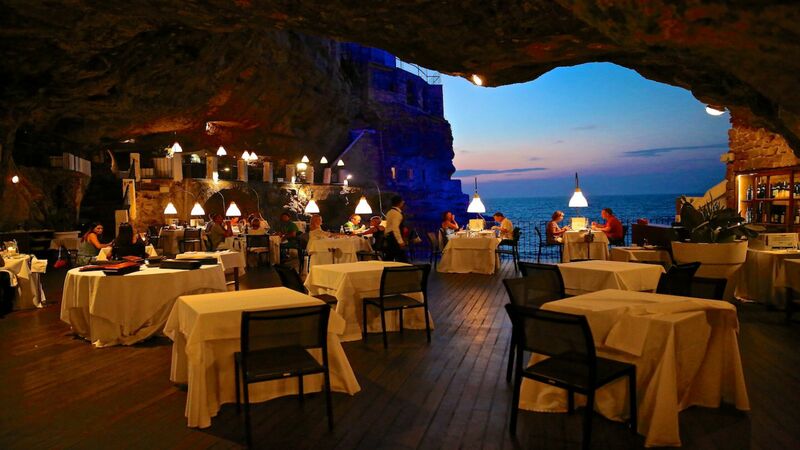 After a whole day packed full of activities, we anchor at a secluded harbor where you will enjoy an amazing dining in a cave. Allow yourself to be bewitched by the mystical scenery inside. The dinner will be an unforgettable experience as much for the delicious and beautifully presented food, as for the romantic setting. This is a wonderful place for special occasions such as a honeymoon, wedding anniversary, and birthday. I believe that it will be the best moment in your trip. Don’t too worry about the weather when coming to Halong in December. Halong Bay is still charming and beautiful in any season. You still have unforgettable experience with exciting activities like discovering natural beauty of colorful cave or have a romantic extraordinary dinner inside a cave or overnight in a boat bobbing in immense water.